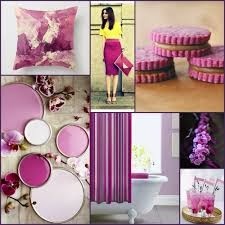 If you're a jewelry store owner, you probably have been seeing the new Pantone color, Radiant Orchid around in stores. Radiant Orchid is a lush, vibrant color that beautifully blends violet and magenta into an alluring shade. The color should be paired with fun spring jewelry for a nice pop or color and contrast. Even though spring is still a few months away, it’s a good time to get your customers in the mood for the time ahead. We think adding touches of radiant orchid in your jewelry display is a great idea especially for any upcoming promotions and shows. Having a bold accent color in your palette is always a chic way to go. Complimentary colors include, creams, beige, lemon-yellow, and auburn sienna orange. Mixed with linen necklace display busts, the earthy pairing gives a sophisticated appeal. We strongly feel that using a splash of Radiant Orchid will help your store achieve a high-end boutique feel while still looking charming and inviting. This color scheme epitomizes spring because it always for you to play with neutral and loud colored jewelry, mix and match jewelry displays, and have a consolidated theme throughout the store. If your store has a sitting area, you can incorporate a pop of color in the pillows or table with orchid printed accessories, trays, and decorative accents. Since this colors are so popular among fashion bloggers, jewelry makers, and designers having merchandise in this hue as well. Chandelier earrings with Swarovski crystals, beaded bracelets, and dangling necklaces are fun options for new product.